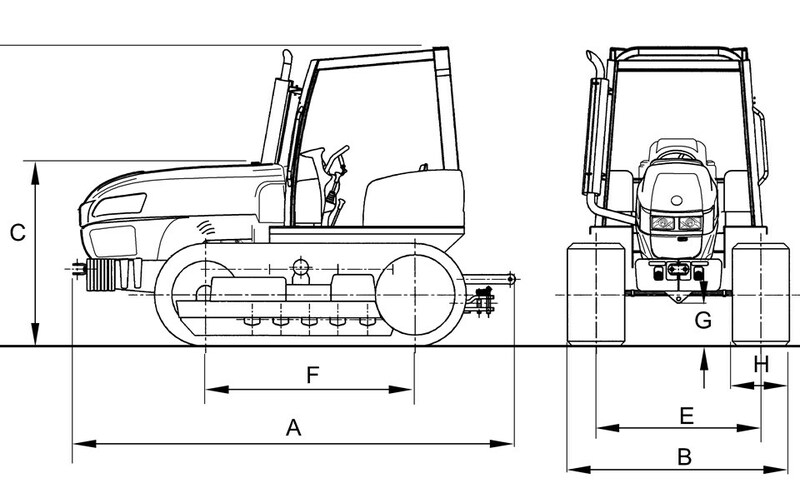 Crawler tractors are specialised machines designed to work on rough grounds, steep inclines and sandy or stony soils. 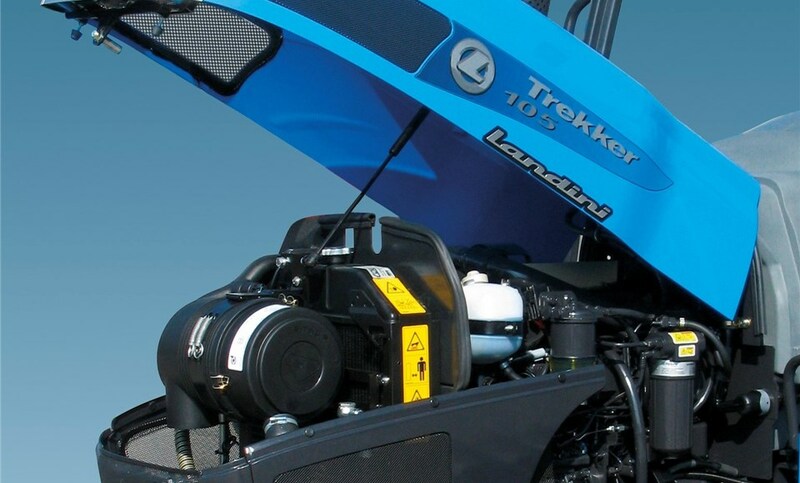 Landini Trekker Standard has been purpose designed to suit these needs offering performance, ergonomics, functionality and design features which make this range of crawler tractors ideal for arable land work. Low centre of gravity, high tractive capacity and reduced soil compaction make this crawler tractor ideal for working on steep inclines in complete safety. Mounted on a silent-block suspended platform, the driving position features ergonomic controls, a fully adjustable sprung seat and a four-post ROPS with sunroof mounting facility for maximum driving comfort. 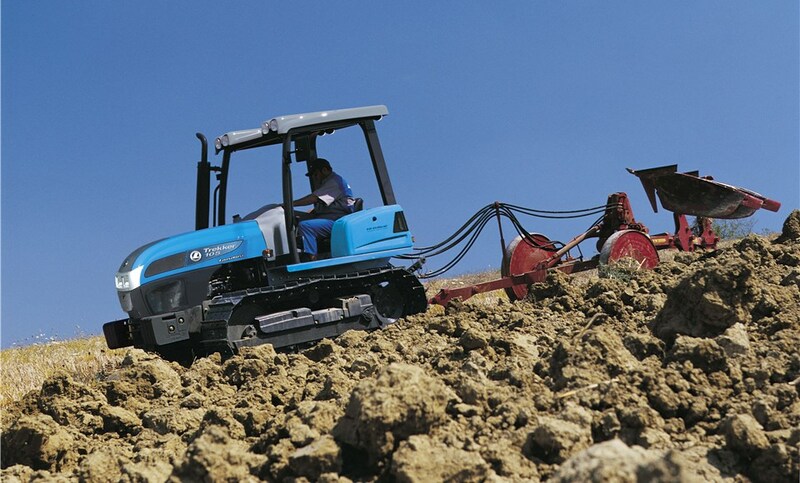 Landini family feeling and allows for exceptional all-round visibility. The new Perkins 1104D (Tier 3) 4-cylinder turbocharged engines delivering 83, 92.5 and 98.5 hp (ISO rating) are specially designed to provide superior performance for farming applications. The range includes three models with different engines and track widths for improved versatility and maximum productivity. engines meet the TIER 3 emission standards, while providing high torque backup, improved fuel economy and low noise. The new tilting hood reflecting the Landini family feeling provides easy access to the engine for routine service and maintenance. The stylish dashboard features analog instruments for simple and fast reading. 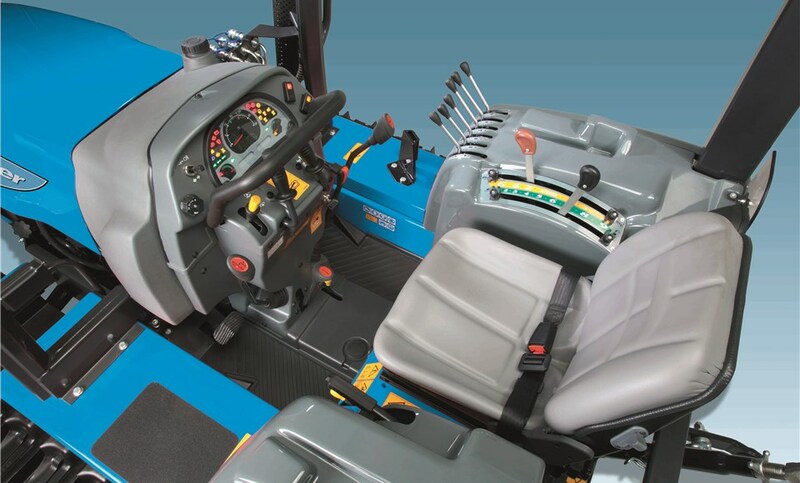 The gear and reverse shuttle levers are located at the driver’s side in forward position for optimum comfort, in accordance with the latest tractor technology. The Hi-Drive hydrostatic steering levers activate the steering clutches enabling smooth and precise steering control. The driving seat mounted on a silent-block suspended platform features an adjustable sprung seat for maximum comfort when working on rough grounds. The valance panels on the driver’s sides match well with the rounded line of the hood. 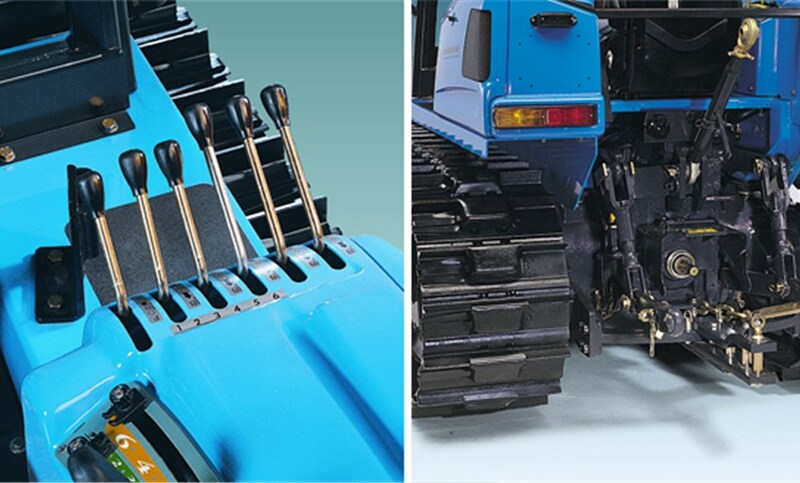 The 4-post ROPS, tested in accordance with current regulations, can be optionally equipped with sun-roof. The auxiliary valves are powered by an independent hydraulic circuit supplied by a 8 gal. (30-liter) extra tank incorporated under the right valance beside the driving seat. This option enables the oil to preserve its properties unaltered for a long time. The pump powering this circuit has a maximum delivery of 12.7 GPM (48.4 litres/min.) and operates up to 6 auxiliary valves. 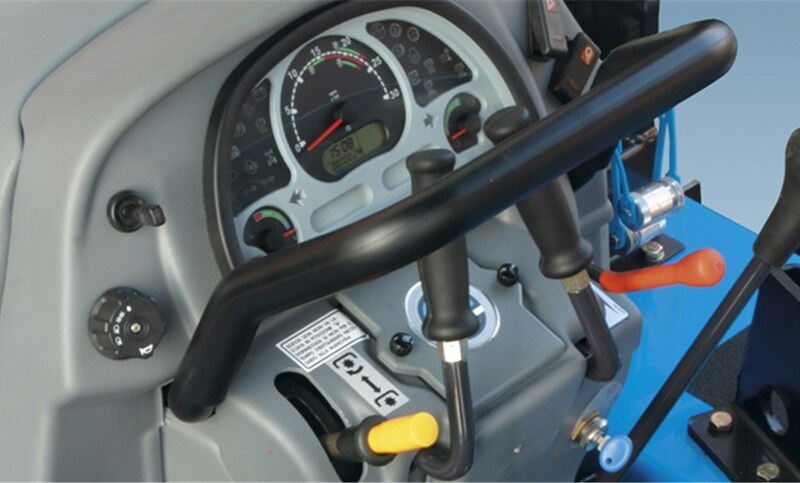 The simple- and double-acting auxiliary valves can be comfortably operated by levers located on the driver’s right.